New York: Peter Blum Edition. Texts by Carter Ratcliff and Paul Chaat Smith. 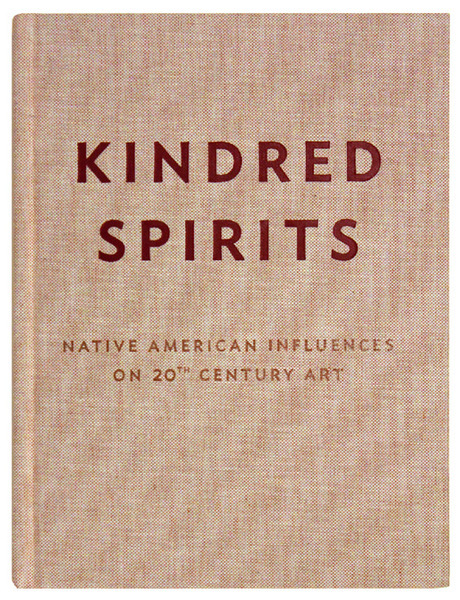 The book includes works by the following artists, photographers and Native American tribes: Josef Albers, Max Ernst, Helmut Federle, Nicholas Galanin, Andrea Gyer/Simon J. Ortiz, Agnes Martin, Georgia O’Keeffe, Bruce Nauman, Jackson Pollock, Charles Simonds. Photographers: Ansel Adams, Edward Curtis, John Karl Hillers, Lee Marmon, Sumner Matteson, Paul Strand, Adam Clark Vroman. Native American tribes: Apache, Arapaho, Acoma, Cayuse, Havasupai, Hopi, Mimbres, Navajo, Panamint, Pueblo, Sioux, Yavapai, Zia, Zuni. Edition of 1500, 213 pages, 118 color reproductions, cloth hardbound.